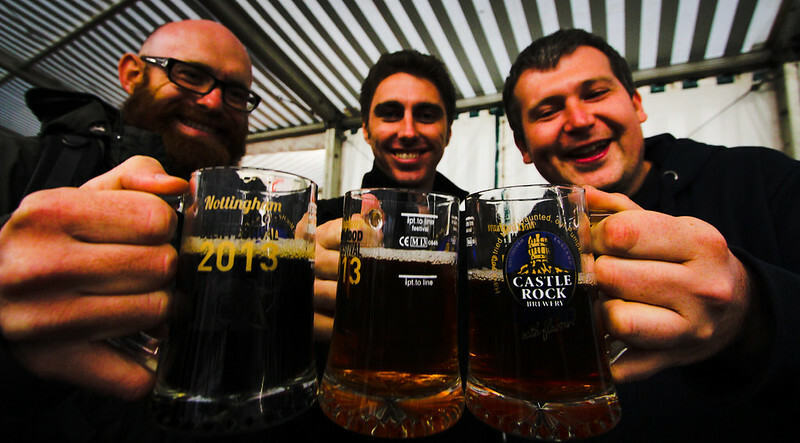 Nottingham (again) and a Beer Festival (again). For someone who can’t stand beer I spend a lot of time at beer festivals. Although if you take away the beer there’s nothing about beer festivals I don’t like. The people are great – they’re down to earth, span all ages and wear silly hats. The atmosphere is laid back, there’s delicious food, new things to try and everything’s cheap. The only way they could be improved is a liberal application of sunshine. Luke and I drove up yesterday and met Matt and Lucas at the festival. The Cambridge beer festival was the only one I’d known anything about and I’d been impressed by its scope. 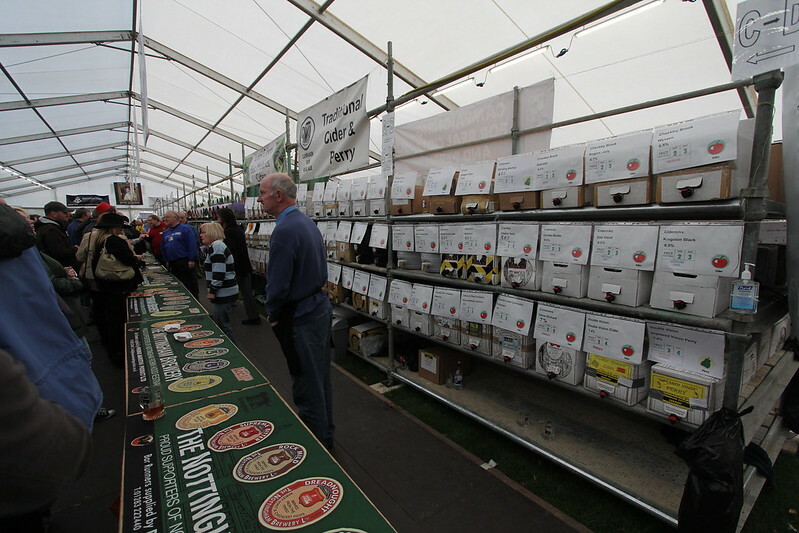 However the Nottingham beer festival was even more extensive. Approximately 1100 different beers. Lucas pointed out that about a mouthful of each would still equal 33 litres of beer to drink. I don’t think there’s that many individual beers produced in the southern hemisphere. On top of that there’s over 200 ciders and perries. There was also a fantastic range of food options, from cheese platters to zebra burgers. Just part of the cider selection. We stayed for about four hours then headed to England’s oldest pub, ‘The Trip To Jerusalem’, which was almost under the beer festival, as it is partially built into the hill on which sits Nottingham Castle, where the festival was held. We had a drink there then moved on to the Canalhouse, which is a pub with a section of canal in the middle and bridges to walk across. After that we stopped at the Vat and Fiddle, which is attached to the Castle Rock Brewery. After that we wove our way back to Matt’s (some weaving more than others). Friday we took a break from the festival in order to drive out into the countryside and… drink more beer. We stopped at a pub called The Unicorn for lunch and then visited a farm shop. Farm shops in the UK are big sheds full of local, top-shelf produce. They almost always have venison, fancy sausages, pheasant and whatever is in season plus jams and chutneys and posh shortbread etc. They, foolishly, had an untended bowl of chocolate covered almonds out for people to try and I ate quite a few before Luke’s frowns shamed me away from them. 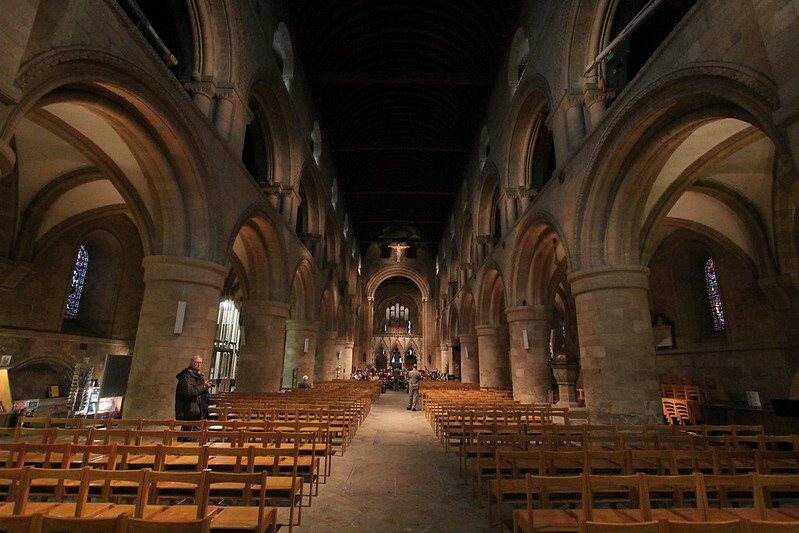 It was a rather miserable day so we ditched our plans to visit the extensive Clumber Park and went to see a cathedral that, fortuitously, was filled with the sounds of an army band (although they sounded more like an orchestra to me) rehearsing for a performance that evening. They were very good. Cathedral interior, right before I was told ‘no photos without a permit’. AGAIN. Bah. The boys decided to do their own beer tasting at home that night and bought a range of beers to share. We watched more Archer, ate a roast chicken and then went to bed early (well, earlier than we’ve been going to bed lately). ready to face another day of festival on Saturday. I bet beer festivals stink!! Ha! Actually, they are nowhere near as bad as you might think because there’s no old beer and people only smoke outside but there’s lots of ventilation since they’re in tents. It doesn’t really get stuffy. They’re also very clean because people get a glass mug or pint with their ticket and it’s refilled then you can keep it or get a small refund for handing it back then they are washed and reused. Very environmental, actually!